Seeking applicants for a PAID PRESERVATION INTERN! This will be a PAID, full-time, one-year temporary assignment with Arlington County Government (with potential to renew if funding permits). There are several internships available, including one with our Historic Preservation Program. All of the details can be found in the advertisement. It is indeed rare that we have such opportunities available in our Historic Preservation Program. They are looking for talented, energetic, and passionate preservationists and history buffs who want to see how an active preservation program at the local government level operates… and who are willing to dive right in and help make a difference! 2016 Archaeology Field School at St. Mary’s College of Maryland. I am writing in regards to the 2016 Archaeology Field School offered by the Department of Anthropology at St. Mary’s College of Maryland. This summer we will be investigating the great house and surrounding outbuildings of the 17th and 18th century plantation of West Ashcom on the Pautuxant River. Here’s the link for more information. Enjoy talking with visitors to the area? 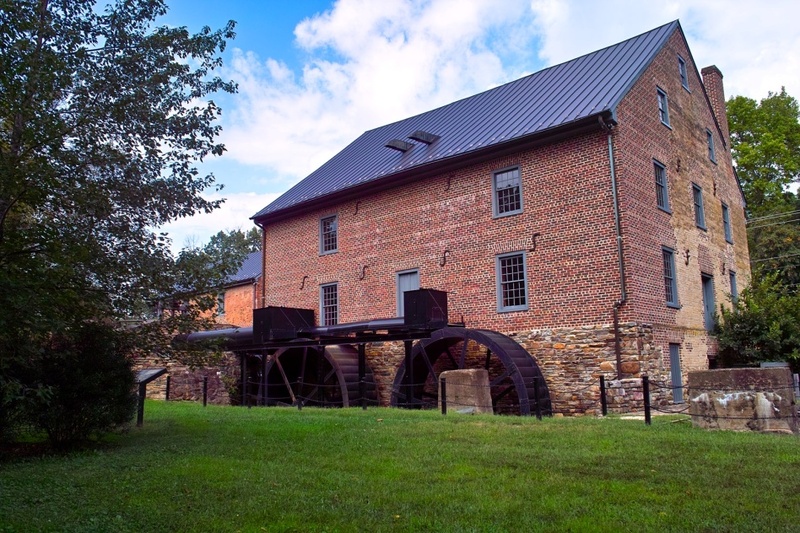 Want to learn the historic trade of milling? Two Saturdays per month, 12:00-5:00. Have fun and meet interesting people! Spaces filled on a first-come, first-served basis. Aldie Mill Historic Park is a property of The Northern Virginia Regional Park Authority. experience. Applicant must be a U.S. citizen. “George Washington’s Mount Vernon, located near Washington, DC, is the historic site dedicated to interpreting the life of the first president within the context of his home and plantation. Under the management of the Mount Vernon Ladies’ Association (MVLA), the property is preserved and restored to reflect the 18th‐century home of the Washington family and the enslaved community. In 2013, the Historic Preservation and Collections Department will embark on a multi‐year project to explore the evolution of the homelot and the multiple generations of outbuildings flanking the Mansion’s west front beginning with an interdisciplinary study of the kitchen. The inaugural year of the Mount Vernon / University of Maryland (UMD) Field School in Historic Preservation will investigate the archaeological, architectural, and interpretive histories of the Washington family’s kitchen to create an integrated approach to its study, documentation, and public presentation while offering a unique educational opportunity for undergraduate and graduate students. This course will instruct students in historic preservation method and theory. Students will learn archaeological and architectural field methodology, laboratory procedures, and current themes in historical archaeology and historical preservation. Via readings, discussions, and field trips, students will delve into three prominent themes of historic house museums – the evolution of the plantation landscape, African American history, and public interpretation – while conducting fieldwork at George Washington’s original Mansion House Farm. They will gain hands‐on, practical experience as they work closely with Mount Vernon’s preservation professionals. Additionally, students will interpret the work to the Estate’s many visitors. Details. The field school will take place from May 28th through July 3rd. Faculty includes UMD Professor Donald Linebaugh and MVLA staff Eleanor Breen, Luke Pecoraro, and Esther White. Students earn 6 course credits by attending 6 weeks of classes, 40 hours per week. Check with your institution about transferring credit. Mount Vernon does not offer housing on the property, but staff will work with students to find local accommodations if necessary. Be advised that most of our time will be outdoors doing strenuous work in hot, humid conditions. Undergraduate or graduate with good academic standing who is attending college full time. Interest in historical archaeology, historic preservation, museums, and American history.